Battlestations’ fans and those inevitably about to be, prepare yourself! 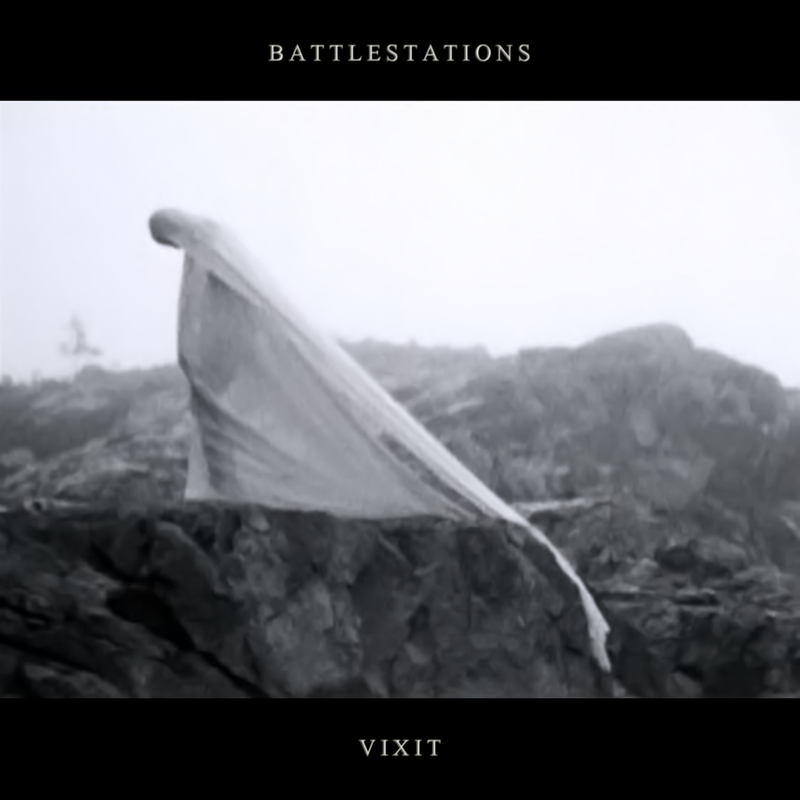 We’re excited to be able to present a preview of Battlestations‘ majestic new album Vixit. The album drops on the 23rd of June through Hidden Shoal and will be available from Battlestations’ Bandcamp and all good 3rd party stores. Check out the excerpt of the opening track ‘I’ on SoundCloud. While 2015’s The Extent of Damage felt like a high-definition camera roving across a ruined world, listening to Vixit feels like witnessing an intimidating new dawn, barely comprehensible from a merely human perspective. Massive and awe-inspiring, this three-part composition is breathtaking in scope and stunning in execution. Synthesizers, orchestra and choirs interweave into a billowing tapestry of glorious sound that completely envelopes the listener. Brief centrepiece ‘II’ is the calm at the eye of the storm, a ruminative piano piece that brings a sense of intimacy to a suite of music that is all about challenging the listener’s sense of scale. To either side, massive tracks ‘I’ and ‘III’ stretch out into multi-part compositions that are as deep and wide as any orchestral piece, tempered with a sensibility akin to ‘70s kosmische music and the most progressive neo-classical ambient.